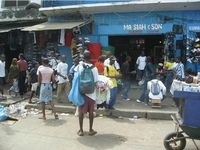 War is over in Liberia and normality is returning to this beautiful but poverty-stricken west African nation. Bradt's Liberia takes travellers on a journey from the world-class beaches of Robertsport, through to the funky fishing village of Harper, where fishermen ply the waters of the Atlantic in traditional painted dugout canoes. It explores mangrove swamps, palm groves and rainforests, and leads the energetic to some of the best surfing spots in the world. Whether you're one of Liberia's aid workers looking to enjoy time off, a backpacker exploring the wild Lofa County, a business traveller looking for a top hotel or a surfer seeking an adrenaline rush, Bradt's Liberia leads the way. As well as extensive introductory chapters, this book comprises a complete annotated checklist, and all resident bird species and regular migrants have accompanying distribution maps. 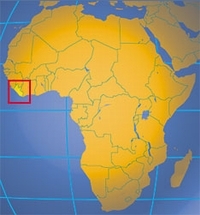 Liberia is one of the least-known countries in West Africa. Although a number of ornithologists have visited the country in the past, this is an avifaunal survey of the whole country, and it is based on the author's many years of residence in Liberia. 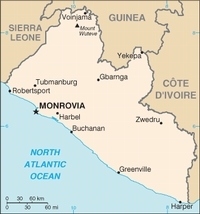 Of particular interest are two recently discovered endemic species which inhabit the region of Mount Nimba which straddles the border with Guinea and the Ivory Coast.